Karl works with motivated leaders who are ready to become their best by making the changes that are important to them. His coaching style reflects his belief that individuals and teams perform best when they are acting from their authentic way of being – and that this is how lasting change is created. Karl’s extensive corporate and professional experience helps ensure a good fit and spirit of partnership with executives at all levels – enabling an atmosphere of mutual trust and respect that facilitates effective coaching. Having experienced many of the same challenges as his clients gives him a full appreciation for the importance of the coaching work they take on. Clients appreciate his sincerity, his integrity, his insightful questions, and the humor and energy he brings to the work. In working with clients, Karl seeks to facilitate (1) a deep understanding of what the individual wants to gain from the coaching process – and how success will be measured; (2) a high level of self-awareness – including values and strengths; (3) a clear perspective of what he or she wants to change; (4) a plan to put the change in place; and (5) practice to make it part of the individual’s enduring capabilities. He often works with executives to increase their emotional intelligence, which has been shown to be the most significant factor differentiating top leaders from mediocre performers. Before becoming a coach, Karl held executive leadership roles in a wide range of organizations. His experience includes co-founding a successful entrepreneurial start-up, becoming a worldwide partner at Arthur Andersen, serving as an officer of the company and as a general manager for Intuit’s $265 million Professional Tax business unit, and senior vice president of a $90 million portfolio of businesses while at Sage Software. He currently serves on the board of directors of a SaaS-based wealth management technology company. Karl coaches leaders, both domestically and overseas, who are motivated to be their best. He also provides consulting services to organizations on a short-term project basis and he is also the author of, Compassion Haiku – Daily insights and practices for developing compassion for yourself and for others. As leader of a business unit comprised of a diverse portfolio of unrelated service, software, and SaaS businesses, Karl was responsible for restructuring the unit to focus on a comprehensive array of employer solutions. He led the creation and execution of a strategy involving alliances, dispositions, and new technology offerings to bring a clear value proposition to the market and reliable profit streams to the company. Karl led the transformation of this $265 million business unit through the creation and execution of a ground-breaking strategy resulting in market-beating growth and better-than-planned financial results. Under Karl’s leadership, the BU introduced three new products and recorded the fastest customer growth and highest employee engagement scores in its history. He was also a member of the Executive Staff and Officer of the company. Karl formalized the business development process, developed plans for new sources of growth, and produced a board-approved business case to acquire a significant competitor. Karl created a profitable technology venture that provided leading-edge tax and financial automation to Fortune 1000 companies. In doing so, he focused on building strong teams, innovative offerings, and effective processes to triple revenue, more than double market share, and reverse ongoing losses. Karl led product development teams, sales and marketing, and the Western region client service delivery to help create a market leader out of a losing start-up. Revenues grew at a 50% compounded rate for the seven years that he led the sales and marketing teams. 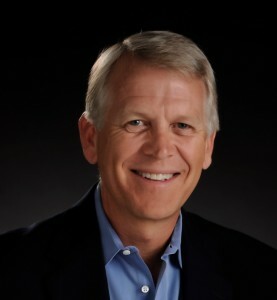 Earlier in his career, Karl co-founded Digital Alternatives, Inc. one of the first PC software companies offering tax applications to accountants. Previously, as the sole international account representative for Computer Language Research, he managed new sales, renewals, training, and support for overseas customers in more than 25 countries.